Bugatti will be celebrating 110th birthday this year and to mark this auspicious occasion they have introduced new Chiron Sport 110 Ans edition. Just 20 examples of the Bugatti Chiron 110 ans Bugatti are set for production, making it an ultra-exclusive edition of an already-unique hypercar. Composite is used for manufacturing outer panels, front and aerodynamic elements. Meanwhile, the exposed carbon-fibre used at the front end, rear diffuser and rear bumper are coated in Steel Blue Carbon to ensure coherence. She needs to be reminded of the historical Bugatti models. The rest is painted in matt "Steel Blue" said to be reminiscent of Bugatti's historic models, and paired with matt "Nocturne" black wheels and French Racing Blue brake calipers. Carbon fibre is also be found on the nacelle, steering wheel, steering column and seat trims. The door trims, sides and seat areas of the sports seats are covered in Alcantara. 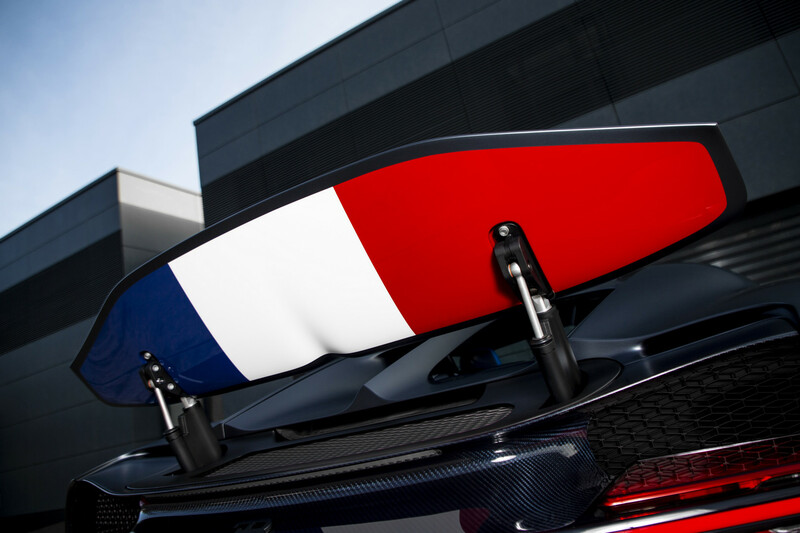 Inside, the French tri-colours are complemented by Deep Blue leather and contrasting Bright French Racing Blue. Oh, even the key to the vehicle is surrounded by three sewn leather patches in the colours of the flag. Another special feature bearing witness to the high level of craftsmanship is a specially crafted medallion in the central console stowage space, made of solid silver with enamel inserts, positioned on a carbon fibre plate. It was "light, small and nimble with an adequate power output". Mechanically, the 110 ans Bugatti is identical to the regular Chiron Sport, meaning it uses a quad-turbocharged 8.0-litre W16 engine with 1,479bhp. Bugatti quotes a 2.4-second 0-100km/h time, 6.1 second 0-200 and 13.1 sec 0-300, with a top speed of 420km/h.